Medical terms, if not carefully used or explained, can cause patient confusion. One of the first things we learn in nursing school is medical terminology, what we often refer to as medicalese. We take that knowledge into our practice as we interpret information for our patients and their families. Yet each patient and family has innumerable points of contact with other healthcare providers. Even as we focus on being as clear as we can be, we can’t know how other healthcare providers explained things and how those explanations may differ from our own way of explaining and educating. To complicate things further, almost every medical term seems to be different from common-use terms; for example, abdomen instead of belly or tummy, NPO instead of no food or drink. Not to mention the confusing dual names for drugs: acetaminophen vs Tylenol. And then there is inconsistency in terms: 1 person says narcotics and someone else speaks of the opioid epidemic. In other words (pun intended), the language of medicine is itself confusing. All of which makes patient communication a challenge. Because we know the language so well, we can forget the nuances. Cancer, tumor, mass — we may use those interchangeably, and for us they mean the same thing: Sylvia has ovarian cancer. Sylvia has a mass growing on her ovary. Sylvia has a tumor. Others, less adept at the strange language we use, may not understand that we are referring to the same thing. In this case, Rick thought of the word mass as being something less threatening than the word cancer, and he zeroed in on that single word, which to him momentarily was a relief: Sylvia had a mass and not cancer. Confusion can set in on both sides. How do we address possible confusion and provide clarity? Often, in an effort to address misunderstandings, we ask, “Do you have any questions?” as a way of determining whether a patient and family understood information. And yet a reasonable response, “I don’t have any questions,” is not a guarantee that they understood what they were told, for it requires a certain level of knowledge itself to know whether you have missed anything. It is a conundrum of sorts: How do you know if you do not know something when you do not know the information at all? There is no guarantee that our best effort at communication will be effective. How do we make sure we did a good job of explaining? In medicine, we have Goals of Care; how about the Goals of Communication? How do we achieve those goals? We may have an assumption that the patients and caregivers understand what is going on, or when we do inquire, it may look like we don’t know. 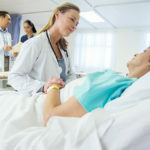 If I ask a patient, “tell me why you are here,” the response may be, “Haven’t you read my chart?” or, “I’d think you would know.” In nurse-to-nurse report or in reading the history and physical, there may be a reference to what the patient has been told. Yet what they have been told is not a guarantee of understanding. In a 2013 article published in Oncology Nursing Forum, Jenkins and colleagues attribute the gap in understanding as arising from information that was not provided “in a way that led to understanding.”1 Our own grasp of the language of medicine may get in the way. It makes me think of idioms, expressions that are understood by those whose first language is English yet are not always understood by those who are nonnative speakers; for example, I understand what the saying “it’s raining cats and dogs” means, but it isn’t automatically understood by others. In an effort to ensure good patient education, nurses are taught the teach-back method. After we provide education, we ask patients to say back to us what they understood, and then we clarify any errors. But straight out asking someone to repeat back what we just said puts them on the spot. It feels like a test of them, rather than a test of our teaching, which is awkward at a time when patients and their families are already uncomfortable. I like to add a kind of disclaimer that puts the burden back on me: “Let me check how well I explained things. Can you tell me what I said/go over with me what I said? That way if I didn’t do a good job, I can fix it.” It seems like a small distinction, but it puts any mistake back on me. If they get the information wrong, instead of it being their fault, it is mine. Taking the pressure away makes it easier for them to explain back and for me to clarify any errors in understanding. Yet how do we account for incorrect information we were not part of relaying? How do we assess whether they are confused, especially in a situation as with Sylvia and Rick, where they seemed to have a clear understanding? There is no correct answer to these questions. Overexplaining can be a problem because, once again, it is burdensome. Yet assuming a level of knowledge can also be problematic. Another part of nursing practice is assessment and reassessment, everything from vitals and response to medications to wounds and dressings and so forth. Our assessment can include questions that reveal knowledge: “Why are you here? I want to be sure you understand things. Tell me your story. What brought you to the hospital?” We aren’t going to catch all of the misinformation, but it is surprising what is revealed when we ask. How will we know otherwise? Ann Brady is the symptom management care coordinator at the Cancer Center, Huntington Hospital, Pasadena, California. 1. Cohen MZ, Jenkins D, Holston EC, Carlson ED. Understanding health literacy in patients receiving hematopoietic stem cell transplantation. Oncol Nurs Forum. 2013;40(5):508-515.